I hopped off the Megabus in downtown Houston early Saturday morning…much earlier than I had seen the world in quite a while. The sun had not yet risen and the expansive downtown was quiet and dark. I chose to take a later bus to Austin because I thought I should get some breakfast before another 4 hour trip. I found a number of restaurants and coffee shops in the area ahead of time, so it was merely a matter of huffing it to the nearest one. Immediately after turning the corner from the bus stop, I cringed as my only pair of boots trudged down the two blocks of speckled bird-crap sidewalks. Go figure! 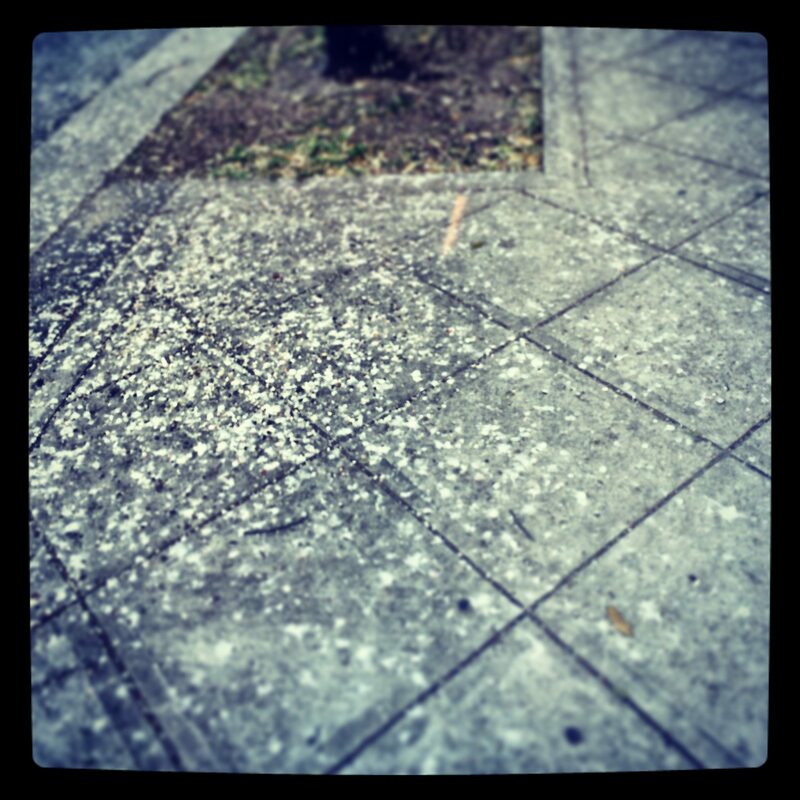 Houston, you have a bird problem! I walked on wide sidewalks watching the sunrise. The illuminated light installations danced for me, swirling me in a weary confusion in the dull morning. Was I up all night and was this a walk of shame? How was I up earlier than everyone else in the world? I wandered through silent blocks of modern-deco buildings, following the app map towards breakfast. Closed on Saturday and Sunday the sign on the window read. Damn! I huffed to the next breakfast listing, ten blocks away, only to discover that is was no longer in business (Grrrr!). I sat down, for the third time in my twenty block walk, to rest my back and begin a new search. A man of medium complexion and slightly fuzzed dredlocks asked me if I was new in town, eying my backpack. “I’m just stopping in for a few hours, then off to Austin.” Speaking quickly, and lowly, while wiping milky tears from his eyes, he offered me advice and help if I needed a shelter or to find food. I smiled and thanked him. He nodded and bowed a little before he walked off just as dizzily as he came. Tagged america, backpacking in us, birds, cultural differences, houston, texas, travel.